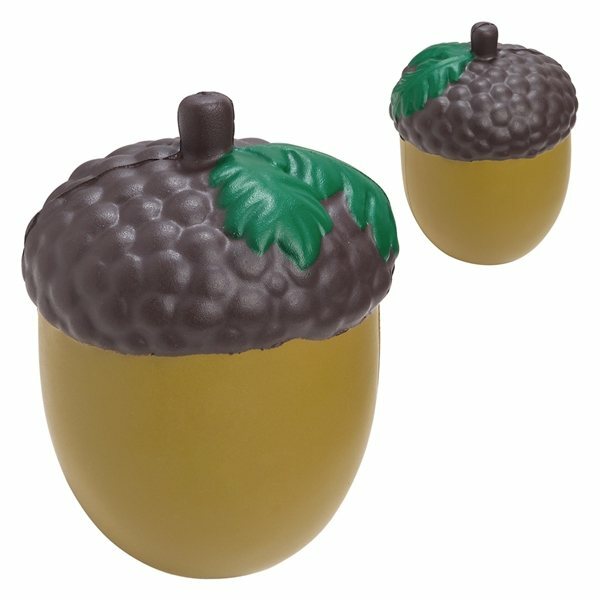 Acorn shaped stress reliever, 2" diameter x 2 5/8". this item was used as a give away at an appreciation event and everyone enjoyed receiving it. The product itself turned out well. Our customers like them, some love them we are happy with the quality & the turn around time and the price. Great trade show give-a-way! Our prospects loved it..had numerous comments that it was the best item at the shows we did last year. The logo and imprint color is perfect. the look was a sharp reproduciton. Everything was perfect. This is just what we wanted. Fits very well on everyone.